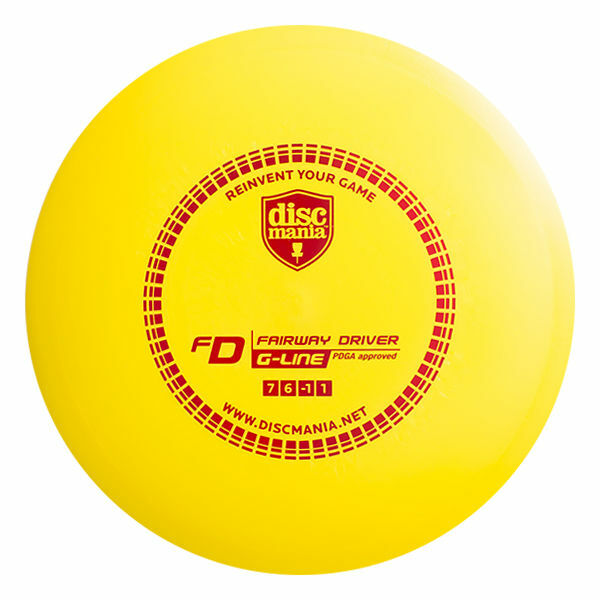 The FD is Discmania's first true Fairway Driver and also known as the Jackal. The G-LINE plastic is a very grippy and gummy. It has much higher flexibility and beautiful pearl type appearance which makes each and every disc look unique. This disc could be described as a longer mid-range disc, as the overall feel and flight pattern of this disc is very similar to many midranges, with the addition of distance and great glide.